Police forces have raised child safety concerns about a new Snapchat feature that reveals users’ locations amid fears it could be used for stalking. Parents have been warned to turn off “Snap Maps” on their children’s phones after Snapchat introduced the location-sharing mode. The feature displays a map of nearby friends, showing their latest location gathered using a smartphone’s GPS sensor. Users of the app can also search for locations such as individual schools, with the app displaying public photos and videos sent by students. It allows under 18s to broadcast their location where it can potentially be accessed by everyone in their contact lists. With public accounts, this will include those who are not known to the user. Users can change the settings to a private mode that does not share their location with anyone. Parents can turn the feature off on children’s phones by setting the app to “ghost mode”. 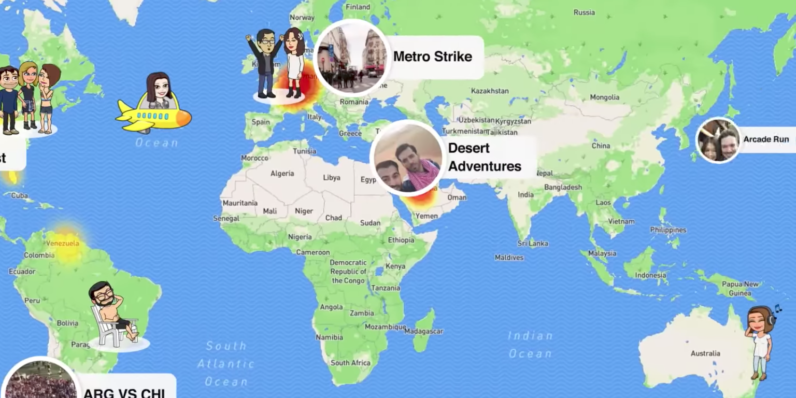 To hide your location, you can turn on ghost mode in Snap Map. To do this, pinch the screen when you are in selfie mode to bring up Snap Map. Then, click the settings icon in the top right hand corner and set the phone to “ghost mode”. Then Snapchat will stop sharing your location. This advice has been produced by the UK Council for Child Internet Safety (UKCCIS) Education Working Group in collaboration with the Welsh Government and the All Wales School Liaison Core Programme (AWSLCP). The guidance aims to support schools, colleges and other educational settings in developing procedures to respond to incidents involving youth produced sexual imagery. It also signposts to resources and sources of support. This advice is non-statutory and should be read alongside the Welsh Governments statutory guidance Keeping Learners Safe. The advice has been produced on behalf of the UKCCIS – a group of more than 200 organisations from across government, industry, law, academia and charity sectors, working in partnership to help keep children safe online.